"Combining with Virence will create new opportunities for collaboration and growth," Athenahealth Executive Chairman Jeff Immelt said in a statement. Athenahealth has been facing takeover attempts since at least 2017, when Elliott Management first tried to buy the company. Elliott Management supports the Veritas-Evergreen acquisition. The transaction "represents an outstanding, value-maximizing outcome for Athenahealth shareholders," Elliott partner Jesse Cohn said in a statement. 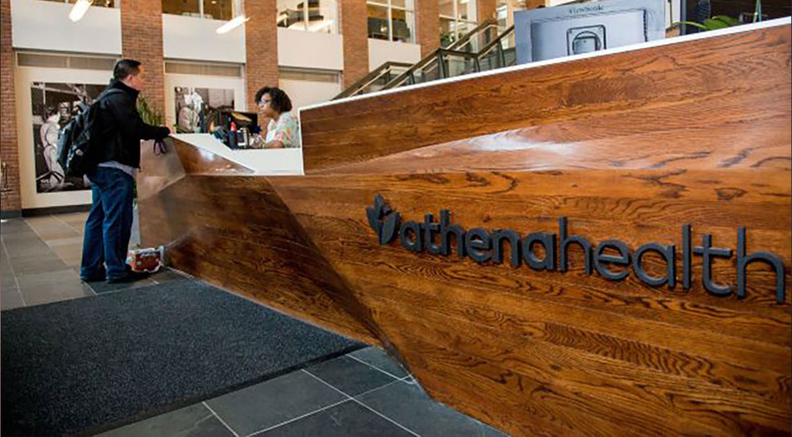 Athenahealth will hold an earnings call later Monday. In a third-quarter earnings report released Friday, the company reported it booked less business compared to the same period of 2017. Revenue for the quarter was $329.5 million, according to the company's new accounting standards, and $331.4 million according to the old standards, up 9% over the year-before quarter. Athenahealth's stock was up nearly 10%, to $131.97 a share at the end of trading Monday.